Commencement and reunion week draws tens of thousands of people to Harvard Square, where there are plenty of restaurants suited to the ensuing celebrations—Alden & Harlow, Harvest, Henrietta’s Table, Rialto, and The Beat Hotel among them. Yet some families and their graduates may tire of the crowds and traffic congestion. Here, then, are restaurants located just beyond the collective hoopla that are easy to reach by foot, bus, or subway. Central Square is a 15-minute walk (or shorter bus or Red Line ride) from Harvard Square. 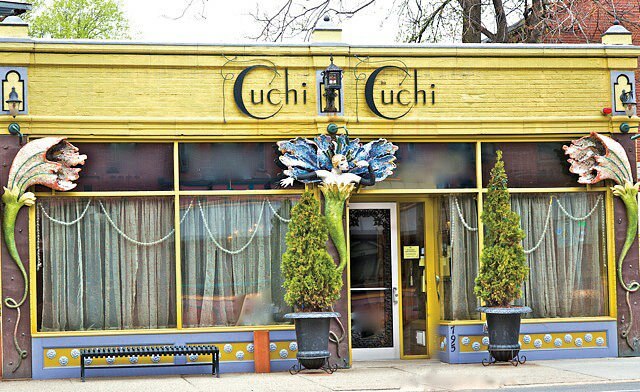 The bustling commercial zone is packed with ethnic restaurants—Indian, Middle Eastern, Korean, and Japanese, among others—but we recommend the “international” cuisine at Cuchi Cuchi (795 Main Street, 617-864-2929; www.cuchicuchi.cc). Exuberant décor abounds, inspired by Old World beauty and early Hollywood glamour. The drinks are just as jazzy. Try Salome’s Potion (with muddled blackberries and basil) or Let Me Entertain You (a snappy twist on a mimosa). The “small plates” (not tapas), priced from $9 to $25, can be shared; they range from scallops ceviche and baby back ribs with apple fritters to spaghetti alla carbonara and tsukune (Japanese chicken meatballs). Back in Cambridge, the Kendall Square neighborhood—a biomedical and technology mini-mecca—is now loaded with restaurants, most walkable from the Red Line’s Kendall Square station. The Blue Room (One Kendall Square, 617-494-9034. www.theblueroom.net) is a low-lit dining room and bar, with exposed brick and a subterranean appeal. 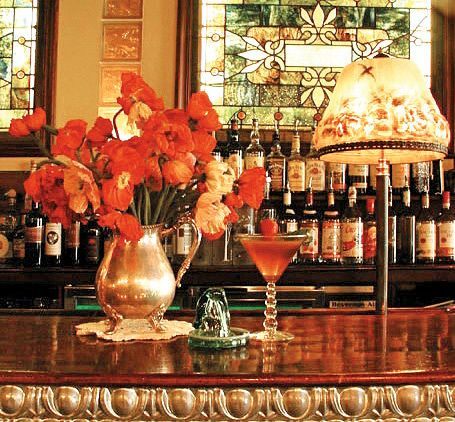 It can be packed with a lively crowd, especially at the bar. Meals are a good step up from pub food, with some especially nice touches: the Macomber turnip soup ($9), made from southeastern Massachusetts produce, arrives with a dollop of sumac-flavored labne (yogurt cheese), and the grilled whole branzino (fish) is paired with a refreshing salad of fennel, watercress, and radicchio ($28). Across the courtyard is West Bridge (617-945-0221; www.westbridgerestaurant.com). 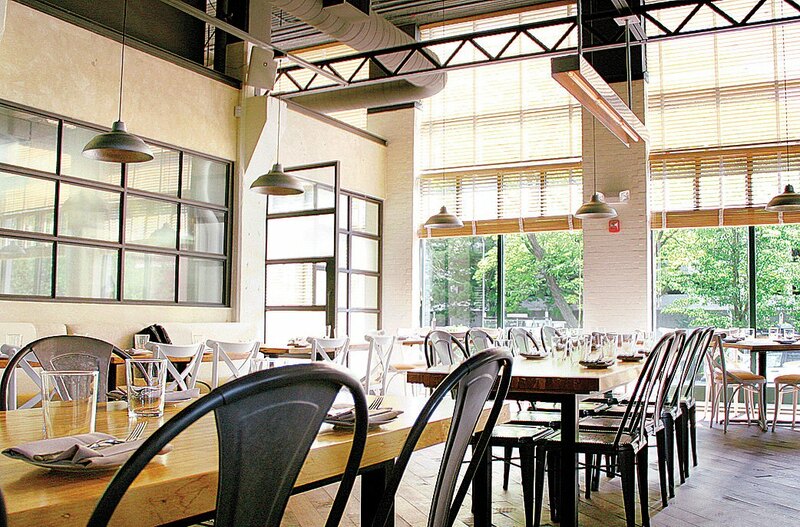 Open and airy, this restaurant has an urbane farmhouse feel that matches its cuisine: simple, farm-fresh regional ingredients cooked French-style. Sit inside or out, sipping novel cocktails—Conant’s Island (cucumber vodka, rice-wine vinegar, and green Tabasco) or Love and Fear (gin, lemon, pineapple, fernet, and Aperol)—and order a series of sides, like Brussels sprouts with macadamia nuts, or a family-style dish to share. The rustic “chicken and jus” ($45), which comes with rutabaga, cabbage, lentils, and bacon-like guanciale, serves three or four. T.W. 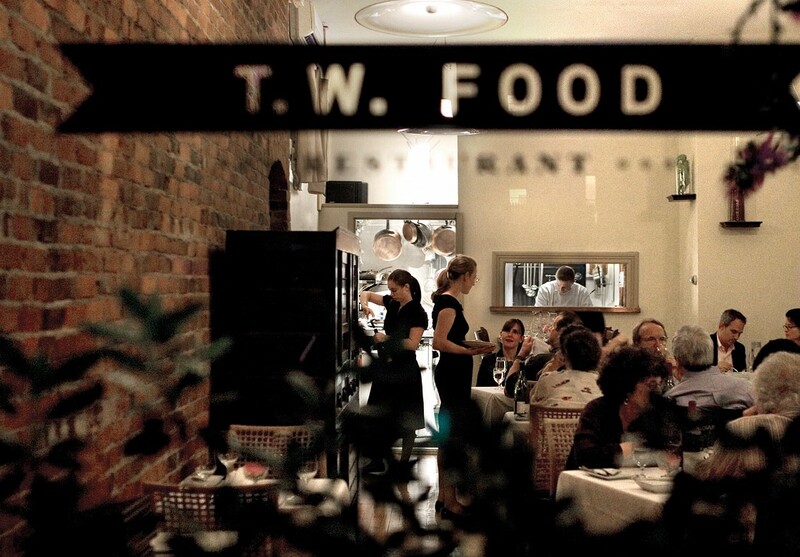 Food (377 Walden Street, 617-864-4745; www.twfoodrestaurant.com) is easily worth the 1.1-mile jaunt northwest from Harvard Square. 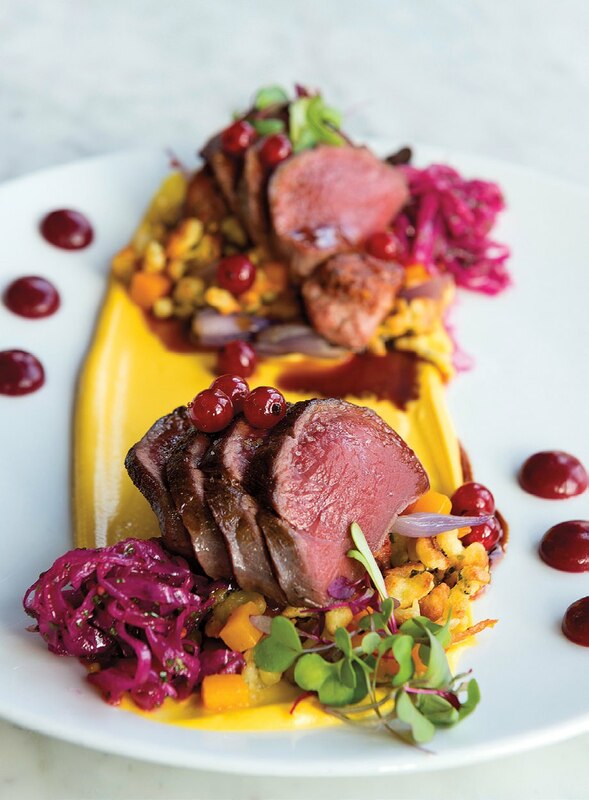 Proprietors Tim and Bronwyn Wiechmann (who also own a terrific German and Austrian restaurant, Bronwyn, in Somerville’s Union Square) offer prix-fixe tasting menus ($55 to $85), with optional wine pairings. 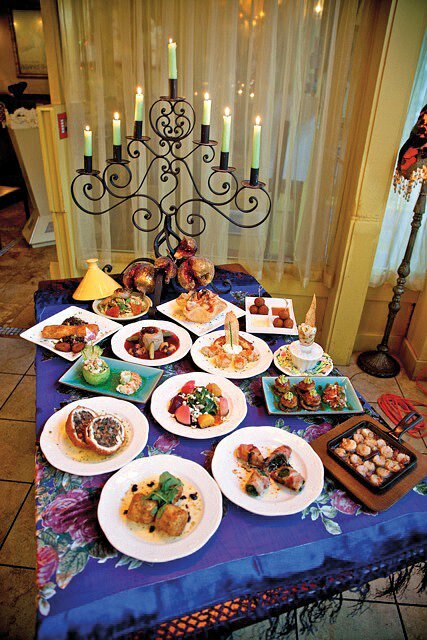 It is among the most meticulously prepared, subtly adorned cooking around. On a recent night, that meant house-made ricotta and sunchoke agnolotti and a beet soup laced with horseradish and crème fraîche, followed by a delicate rhubarb gâteau Breton with lavender ice cream and lemon curd. More down-to-earth and moderately priced are two places well suited for celebratory extended-family gatherings in Somerville’s nearby Davis Square. (Take the Red Line two stops outbound from Harvard Square.) Posto (187 Elm Street, 617-625-0600; www.postoboston.com) aptly calls itself “a modern interpretation of a classic Italian pizzeria, enoteca, and trattoria,” and is good for all ages. The 13 wood-fired, thin-crust pizzas ($12-$21) come with white or red sauce and well-paired toppings, such as the eggplant with pine nuts, raisins, roasted peppers, and ricotta. For pastas, try the tagliatelle with ragù Bolognese ($20), or combine a few appetizers: the rosemary sea-salt bread ($2.50) can envelop the classic “nonna’s recipe” meatballs with melted mozzarella ($12), or be dunked in the marinara that comes with it. Down the street, The Painted Burro (219 Elm Street, 617-776-0005; www.paintedburro.com) offers imaginative Latin American dishes. Start with the $10 hibiscus-flavored margarita—very strong and not too sweet—and the “cholo” corncob with garlic mayo, cotija cheese and a touch of cayenne ($6) or the corn masa griddle cakes with goat cheese and sautéed apples ($12). The slow-cooked short ribs come with roasted carrots, charred onions, red wine mole, and Oaxacan grits ($24), but the lighter fare, such as the fresh mahi mahi tacos with a serrano-spiced salsa ($7.50), is just as satisfying. For dessert, head to Mr. Crêpe (51 Davis Square, 617-623-0661; www.mrcrepe.com): everyone, no doubt, has earned the right to indulge in the specialty of the house, the “Tiff and Tone” ($8.95): a hot crêpe filled with strawberries, bananas, and melty Belgian chocolate, and topped with two scoops of vanilla ice cream.